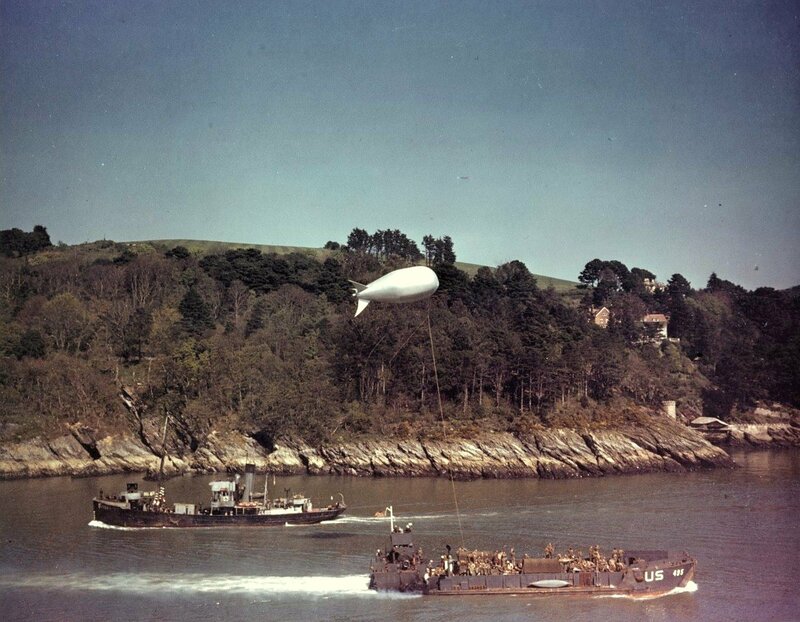 Laid down, 22 October 1942, at New York Shipbuilding Corp., Camden, N.J.
281k LCT(5)-495 sails past the Royal Navy Trawler HMMS Loch Park (FY-1835). Originally built in 1917, as HMS John Brooker, the trawler was re-acquired by the Royal Navy in 1940. This photo was taken during the rehearsals for the Normandy Invasion, circa spring 1944. 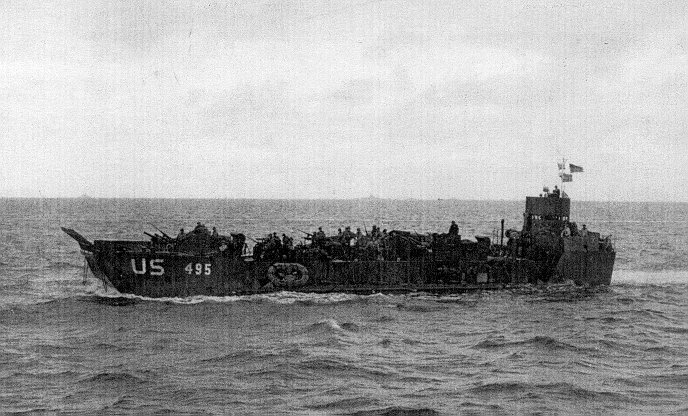 LCT(5)-495 has a cargo of trucks, and is towing a small barrage balloon. Note canoe on her deck.